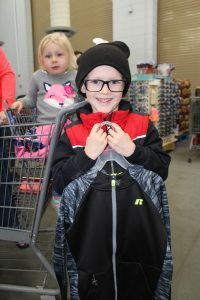 Operation School Bell is the signature program of Assistance League of Bend and has, for over 25 years, enabled thousands of vulnerable Deschutes County schoolchildren in grades K-12 to go to school with confidence and self-esteem wearing new clothing they have chosen for themselves. 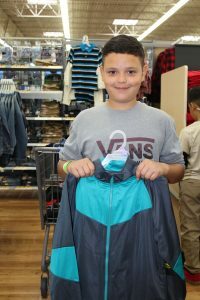 The students are referred by the local Family Access Network and have the opportunity to shop with a parent and Assistance League’s all-volunteer members and many nonmember community volunteers. 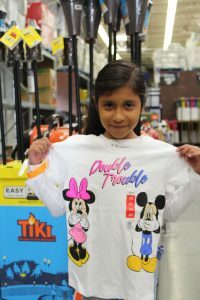 The program has been administrated in partnership with Walmart stores in Bend and Redmond and is made possible through grants, fundraisers and donations from the supportive and generous people within the community. 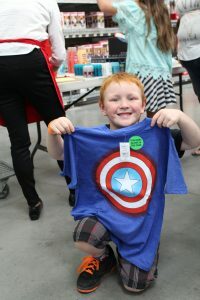 In 2018 – 2019, Assistance League of Bend partnered with Target in Bend and continued with the partnership with Walmart in Redmond. The fall sessions were completed the end of October. The total number of students in the Bend-La Pine, Redmond and Sisters School Districts that were provided with new school clothing was 1,846. A second session will take place February 13, 14 and 16. Volunteers donated 2,654 hours for Operation School Bell in 2017-2018! Contact us if you or your group would like to participate.